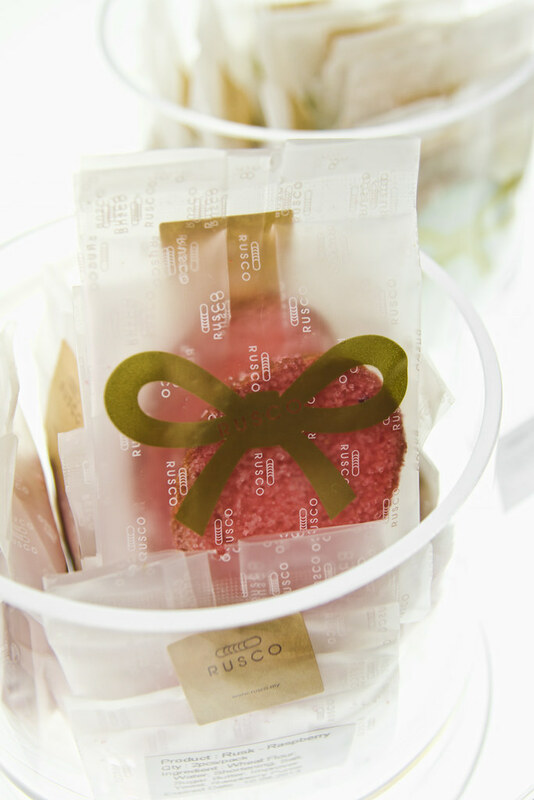 RUSCO, a premium brand under Yataro Group, has brought in a series of vivid colours rusk at Pavillion Tokyo Street last week. Being the first RUSCO in SEA, this colourful product will surely brighten up your day through their rusk which is fun to see, tasty to eat. 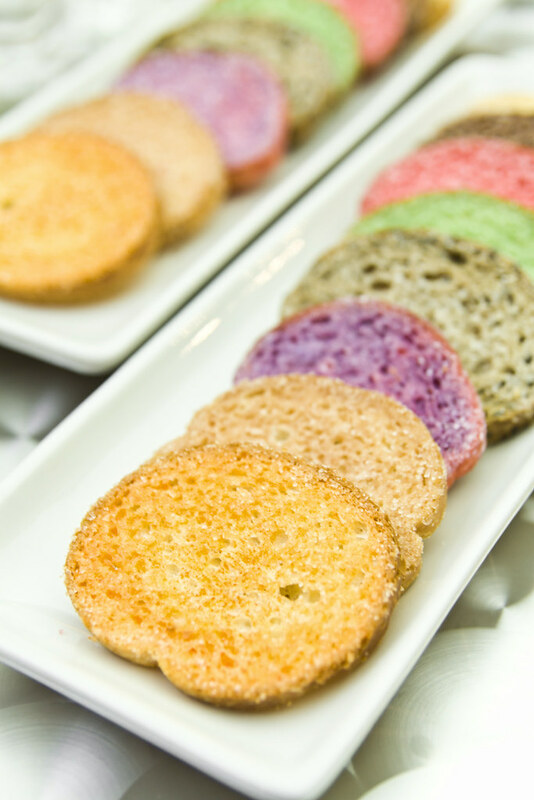 RUSCO is all about freshly baked baguette that is cut into slices and topped with colourful natural flavours and sugar. It seems nothing special, but addictive enough to make you tuck in one piece after another one. Well, all this thanks to the unique baking method of their baguette, which is baked twice to get a ultimate crispy texture. RUSCO developed a special method in making RUSCO baguette dough. Finely selected wheat flour is firstly mixed with RUSCO specially made mixer. Then, the dough is spread by hands followed by baking in a temperature controlled oven.The Rusk is not considered done yet as the tastiness comes after the second oven bake with natural flavour extract toppings. For instance, the Rasberry Rusk is made by using fresh rasberry blended into the dough while making the baguette to give a perfect natural flavours and colours to hte bread. The breas is then coated with natural rasberry extract, no colouring is used, everything comes from the natural essence. All their rusk are nicely packed in either 6 pieces per bag for RM10, and 2 pieces per bag for RM4, both come in semitransparent cute handy bag. 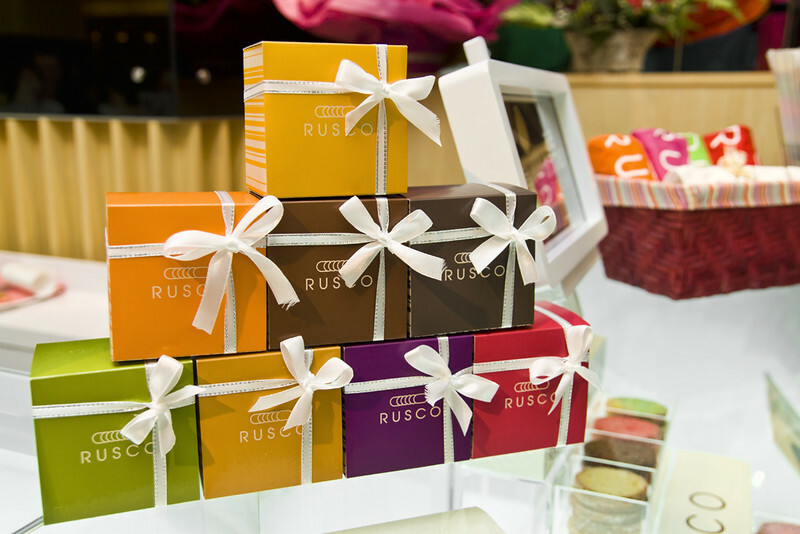 For gift box, one can have either 4 flavours(RM38), 6 flavours,or 8 flavours per box, all nicely arranged in RUSCO long gift box, more than ideal as gift for friends and love one. 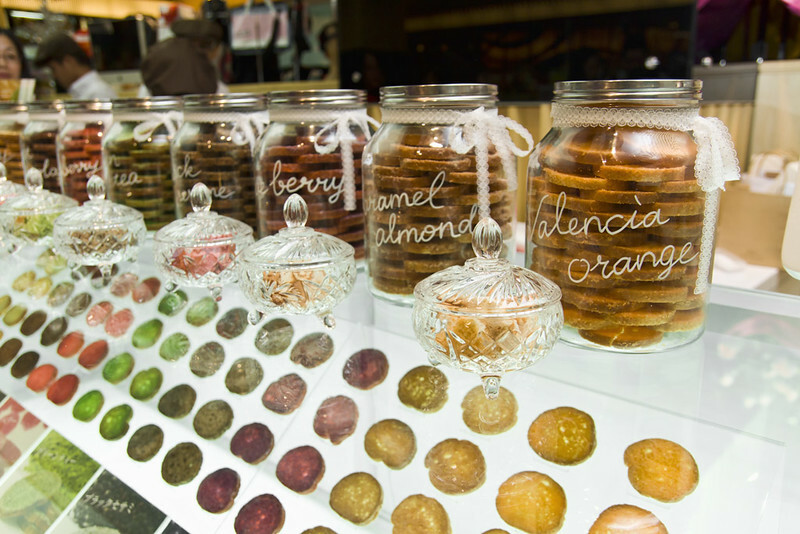 There are 8 flavours available, which is honey, sweet chocolate, rasberry, green tea, black sesame, blueberry, caramel almond and valencia orange. Honey – The ultimate combination of honey, butter and bread. Fragrant with the natural aroma of honey. Sweet chocolate – The specially made chocolate baguette that spread with premium chocolate gives an extravagant sweetness of chocolate. Rasberry – The fragrance of rasberry leaves a tingling sensation to the taste buds, compliment by the rich colour of rasberry. Green Tea – The vivid green comes from Kawane Green Tea, taste enhanced with butter. Black Sesame – The aromatic black sesame is the grownup’s favourite selection. The unique pleasant texture is born by adding the sesame paste onto the bread. Blueberry – A luxury flavour that combines acidity of fruit and mellowness of butter to make a perfect combination to the rusk. Caramel Almond – Caramel gives a rich taste to the rusk and is even more delicious by topping over with almond. Valencia Orange – Great with the fruitiness and refreshing sensation from orange peel. Among all, we like the sesame and chocolate flavour the most, thanks to the rich flavours on both. Honey is good too, for its simple original flavours will still make you munch on continuously with satisfaction. Even though RUSCO is now available only in Pavillion KL, you don’t have to be upset if you are staying far away, as RUSCO already have their online 24 hours 365 days stores to serve you their best. RUSCO promise that your product will arrive at your doorstep within two working days after your order has been confirm. But of course, RUSCO will soon expand their retail businesss not only in KL but also to other states, eventually to the whole South East Asia, priority in Singapore, Jakarta and Ho Chin Minh city as their next desitination. So, don’t wait. 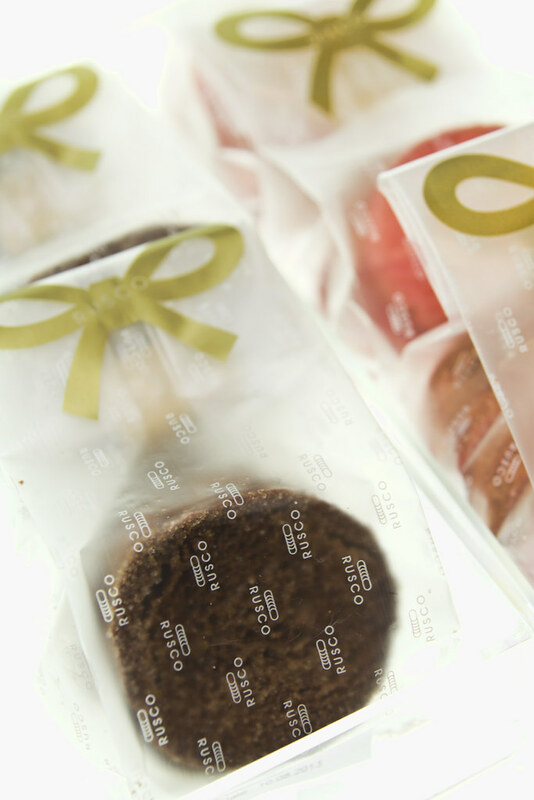 RUSCO sincerely invite you to come and enjoy thier ultimate crispiness and natural sweetness today! Feel happy with colours and flavours!